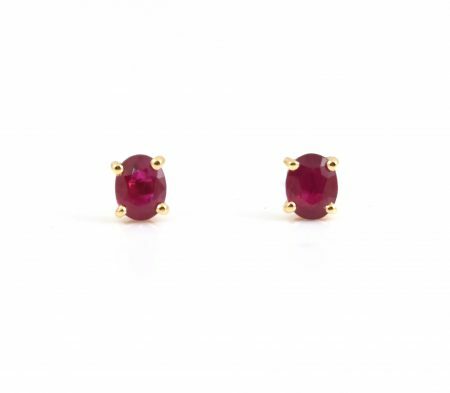 A pair of 18K yellow gold Ruby oval stud earrings. Featuring two oval Ruby’s set in a four claw stud setting with post and butterfly’s. 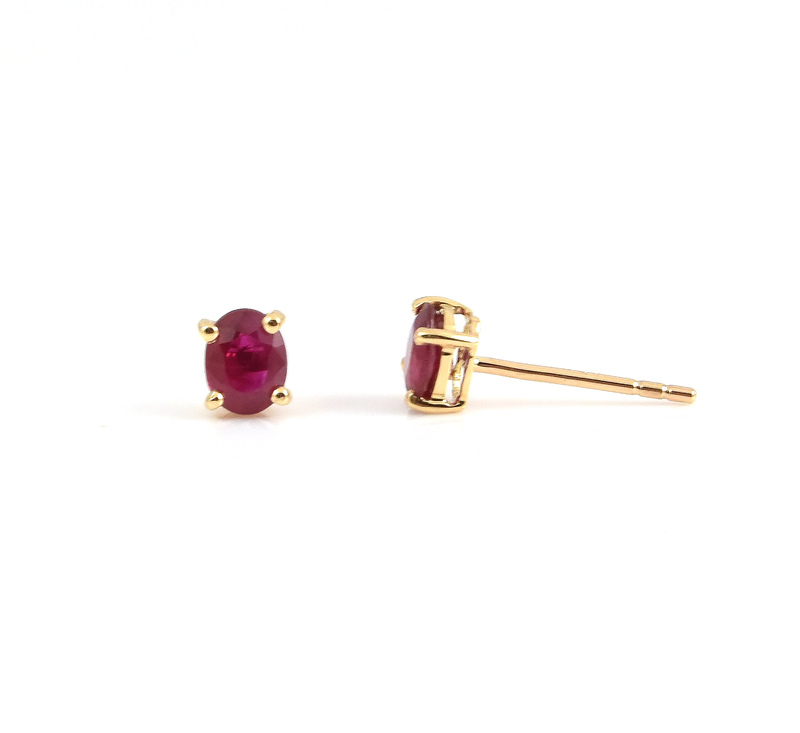 To view our range of ruby jewellery click here.